Between trying to stay warm and trying to stay awake, I'm getting ready for the last little bit of this weekend. I had the opportunity to go to an AHL hockey game last night with my university roommate. We saw the Hamilton Bulldogs play the Abbotsford Heat...the Heat won in a shootout. It was a great game and I had a lot of fun. Today, I'm attending a fundraiser for Big Brothers Big Sisters, benefiting their Go Girl program. I attended this event last year and I'm happy to be going again this year; sparkling wine reception, 3 course lunch and a fashion show. I can't wait to share this event on my blog! Before getting to this weeks Sunday Social...there is a $1,000 giveaway going on, which you can enter here. 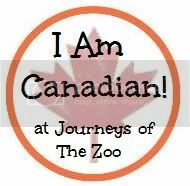 Also, my blog crush Sarah from Journeys of the Zoo is featuring me on her blog this month as part of her I Am Canadian series. I also have a Wish List on Pinterest...not a lot of things are on it, but I'm sure I'll be adding to it. 2. Share a new iPhone, droid, iPad app that you have recently discovered that we all need. 4. Share your social media links so we can follow you. (Pinterest, Twitter, Instagram, etc) Tell us which is your favorite and why. 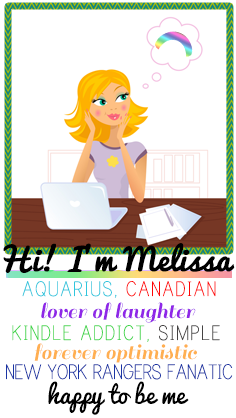 My favourite social media is Twitter...I love how to the point, concise and timely the information is. Whether it's an update on world events, play by play of a hockey game or just knowing what my friends are thinking/doing...it's a great way to keep up to date. 5. What is a tv show, movie, or song that you could watch or listen to over and over and never get tired of? A movie that I a, currently watching on repeat is Pitch Perfect. This is such a fun and funny movie! When it comes to TV shows, Friends continues to be funny, no matter how many times I've seen an episode. Everyone knows I'm a HUGE David Myles fan and I can listen to any of his songs on repeat, but right now, I'm really loving Whole To My Half. I love that blue purse! I have so many giant bags, and yet they're never giant enough for all my electronics, haha. That sounds like a lot of fun that you got to see a shoot out! I've never seen one live before (either in an NHL game or in a CHL game which I've also been to) but I've always wanted to! Hockey is the best!